The existing winery is both expanded and then transformed by a purposeful vertical screen and roof canopy. BEACON: A vertical blackened wood screen passes over opaque wall surfaces and open-air rooms. During the day the body of the building takes on a solid appearance. At night the screen takes on an etherial, translucent appearance as interior illumination back-lights the vertical cedar ribs, permeating the surface and transforming the winery into a hilltop beacon. WINGS: The winery, crush pad, and tasting room are covered and protected by 2 large metal roof surfaces. These surfaces are held above the body of the building letting air and light pass freely between the two. The cantilevered structure of the roof gives the appearance that it is unencumbered by gravity, flying freely in the air. 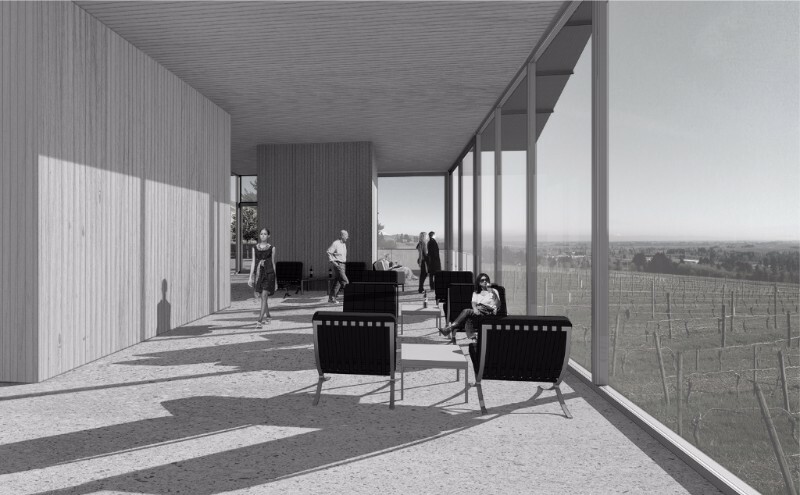 TASTING ROOM: The new tasting room, positioned to feel as if it is hovering above and within the vineyard, is open on all sides offering panoramic views. Support spaces (such as kitchens and bathrooms) within the tasting room discreetly occur as wood clad volumes, or boxes, that subdivide the larger spaces into more intimate zones. 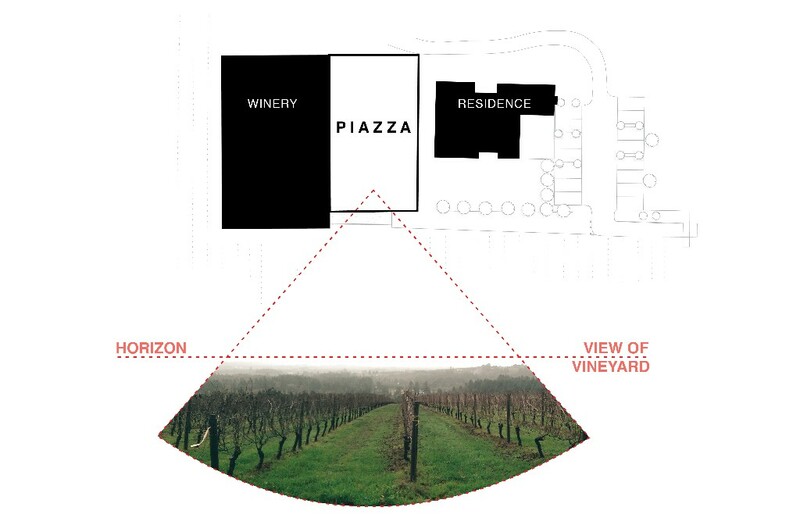 PIAZZA: A new courtyard, or piazza, now lies between the winery and winery residence. 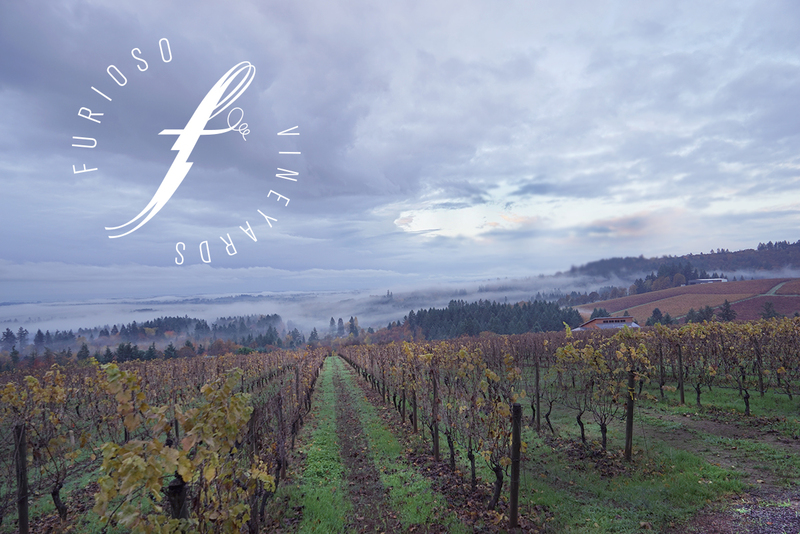 The southern end of the piazza is elevated above the vineyard creating a dramatic view of the horizon.